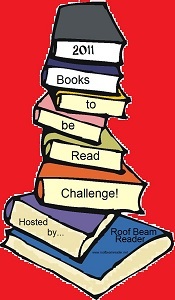 Roof Beam Reader is hosting the 2011 TBR Pile Challenge (with prize!). The goal is to read at least 12 books that have been on your TBR list for a minimum of one full year. Your list must be finalized by 1/1/11, although you may list alternates. The official rules say that only two alternates are allowed, but considering how many books have been on my bookshelves for over one year (984 - In my defense, many of these were inherited! There are also quite a few that I want to re-read.) and how much I tend to change my mind after making a list, I am just going to make one gigantic list and pick twelve from it over the course of the year. Click here to sign up!